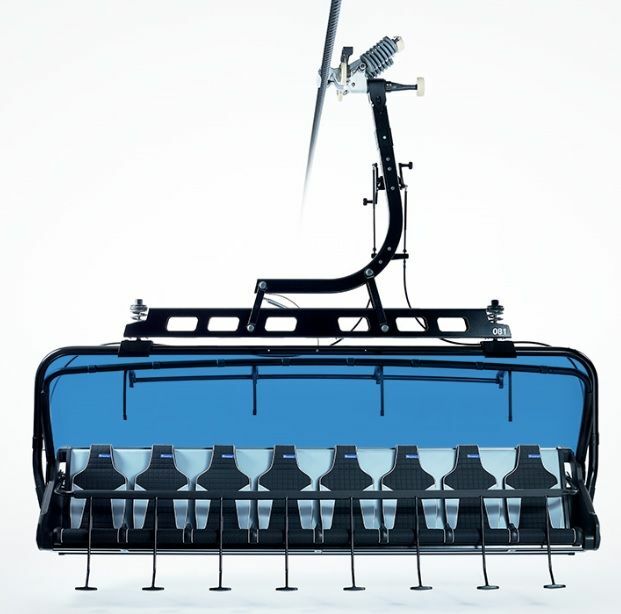 Big Sky Resort unveiled that that it will bring the first eight-seat, high-speed chairlift to North America, delivering on its commitment to create the most technologically advanced chairlift network in North America. At a community gathering, Boyne Resorts President Stephen Kircher announced plans to introduce the state-of-the-art D-line Doppelmayr eight-seat chairlift for next ski season with ergonomically designed, extra-wide, heated seats and "Big Sky blue" bubbles on Andesite Mountain. 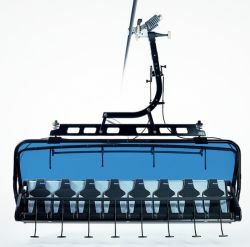 Kircher also presented plans to replace the Shedhorn double chair with a high-speed quad. The new high-speed lift will shorten the uphill ride by nearly two thirds. Additionally, the chairs will be more wind-resistant, creating a more pleasurable experience for guests. "My family is proud of its 42-year commitment to southwest Montana and will continue the momentum that is underway at Big Sky Resort," said Kircher. "We are excited to bring the biggest chair in the world to Big Sky, and to work with the resort team and community to recognize the Resort's full potential - rivaling the best of the Alps and our North American brethren." Known as "the Biggest Skiing in America," for almost 6,000 acres and 4350' of incredible terrain, Big Sky's investment in major infrastructure upgrades will enable the Resort to serve new skiers and riders in the 2018-19 winter ski season and beyond -- as a new member of the Ikon Pass and Mountain Collective. 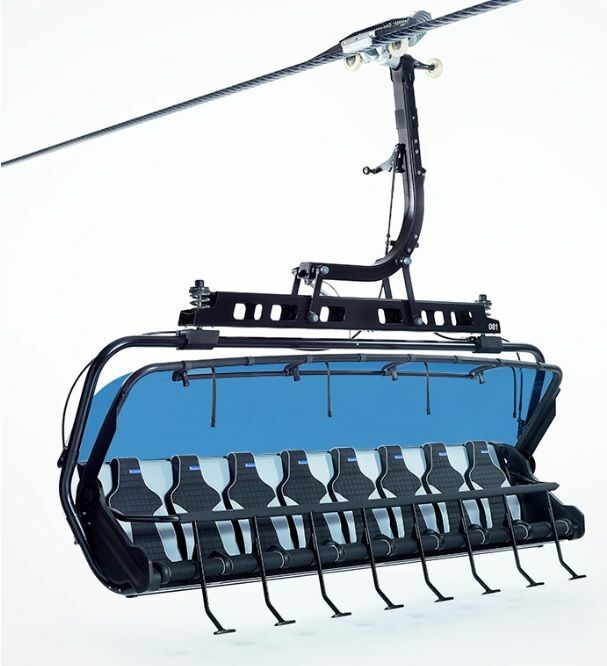 The new eight-seat, high-speed D-Line chairlift, "Ramcharger 8" will be the first of its kind in the world, and is the most technologically advanced lift ever built. A fully integrated high-resolution LED screen at the lower terminal will provide up-to-date guest information and engagement. "The Biggest Skiing in America is getting bigger and better, again," said Big Sky Resort General Manager and President, Taylor Middleton. The lower terminal of the new eight-seat Doppelymayr chairlift will be positioned 50 feet uphill from where the current lower terminal sits, creating additional space in the base area. The next significant improvements will focus on the Mountain Village. Big Sky Resort has plans to transform the upper level of the Mountain Mall, creating a modern ski lodge food hall and event venue large enough to service more than 700 guests. Indoor fireplaces and an elevator will be added. New, curated coffee, wine and beer bars are planned with exceptional mountain views. Lunch capacity will grow by roughly 350 additional seats. Skiers and riders can expect new food options, such as stone-fired artisan pizza, sushi, ramen, and crepe stations.An expanded, elevated deck overlooking Lone Peak and the Village's Southwest Plaza will create an ideal meeting spot for après. The transformed space will double as a ballroom in off-periods. It will be the largest of its kind at Big Sky Resort, creating a fresh, enticing space for meeting and conventions, as well as for public events and concerts. Big Sky Resort is aggressively moving into the next phase of its Big Sky 2025 vision, first announced in 2016 and activated with the installation of Powder Seeker, a high-speed, six-seat chairlift with heated seats and bubble covers. Also in 2016, the Challenger Chairlift was also replaced with a triple fixed-grip with a conveyor load, shortening ride time by 25 percent. For more information on the next steps of transforming Big Sky Resort as part of the 2025 vision, please visit bigsky2025.com.